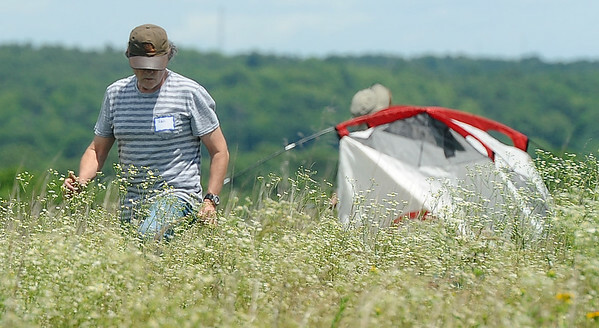 Participants set up their tents for a two-day exploration of Linden's Prairie near Mount Vernon. About 100 people attended the event, which was sponsored by the Missouri Prairie Foundation. The Bio Blitz offered an up close look at the various species of flora and fauna in the prairie's ecosystem.